Looking for new bathroom ideas? These ten expert bathroom ideas are all you need to inspire your next bathroom design. Find bath décor, tiles, sinks, vanities and more! Want a first-hand look at the latest bathroom trends? 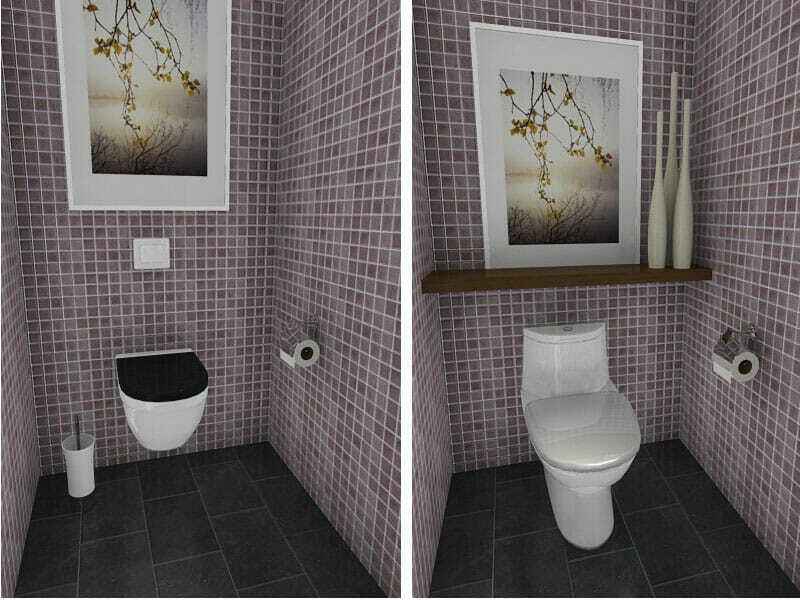 RoomSketcher shows you the top four bathroom trends and how you can use them in your bathroom. A powder room may be small, but it can deliver big style! Here are 10 perfect powder room design ideas and pictures to inspire yours. 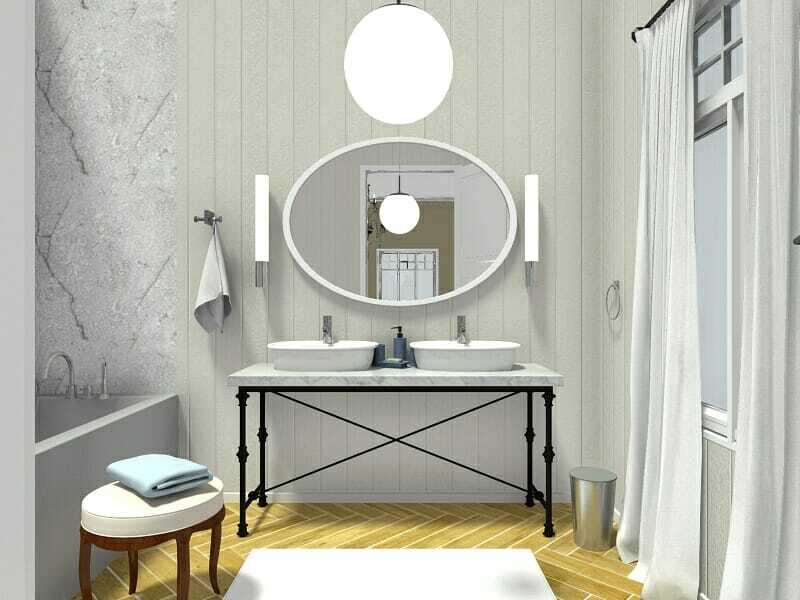 Love the look of a black and white bathroom? No matter what style it is, a black and white bathroom has timeless appeal. Here are some great tips on how to make yours. Looking for DIY bathroom storage ideas? Here’s how you can take advantage of available wall space in your bathroom to create more storage. Looking for an easy way to update a white bathroom? Give your bathroom a fresh new look with colored bathroom accessories. Looking for Bathroom Ideas? This white bathroom gets an easy update with a blue accent wall for a smart nautical look. Looking for Bathroom Ideas? This Parisian inspired traditional bathroom with a custom vanity and marble accents has great vintage appeal. 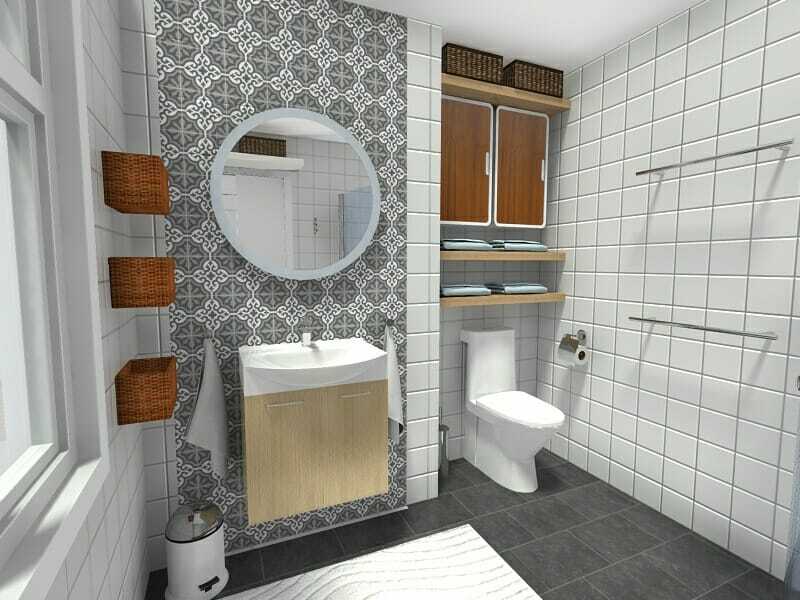 Looking for Bathroom Ideas? This elegant modern black and white bathroom gets a dressed up look from with marble accents and wallpaper. 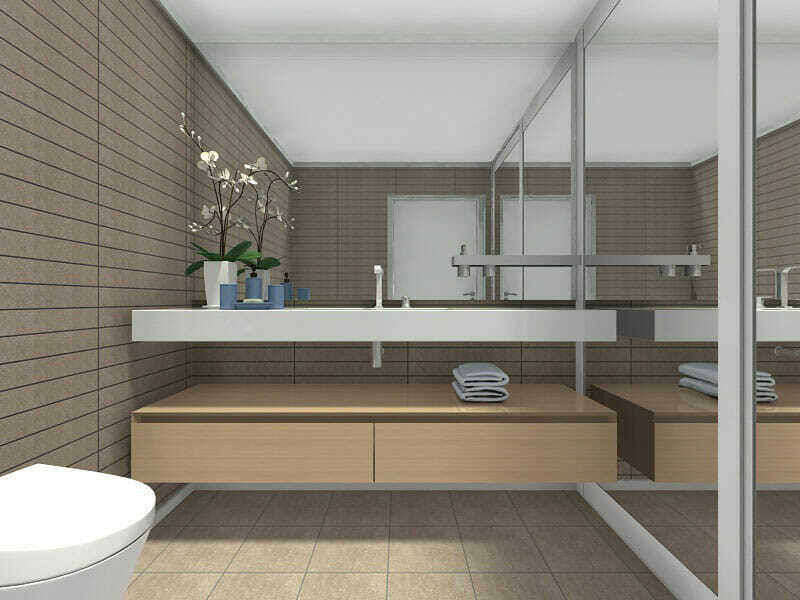 Do you need some help planning your new bathroom? 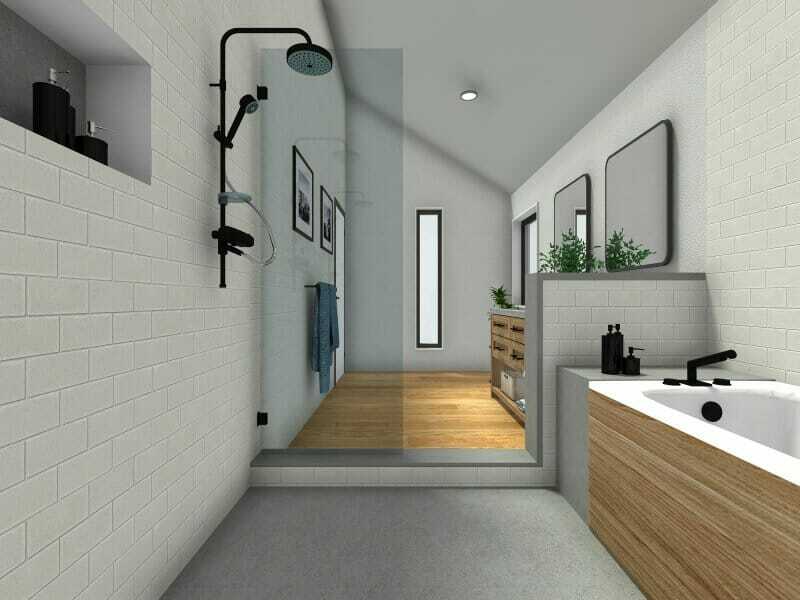 RoomSketcher shows you how to plan and design your dream bathroom!